The best time for planting in the open ground or greenhouse in early spring. The soil at this time thaws and warms up. The most favorable month for planting exactly is difficult to determine. It all depends on the weather, area and soil structure. To put the grapes too late is not recommended because there is a possibility of his death due to the short vegetation period. In the climatic conditions of the Moscow region, fall planting is useless. For planting grapes first need to select good seedlings, removing them from dead stems and roots. The wind and the sun adversely affect the seedlings with open root system. Before the plant sprouts, you need to cut them into two or three buds. Prepare in advance with melted paraffin. It is necessary to lower the upper part of the shoots. Make a hole and fill it with humus or nutrient soil. Usually need no more than half a bucket of compost per pit. Next you need to make a "mash". Fill the bucket with water and add to two parts clay and one part rotted mullein. You should get a weight in the form of liquid sour cream. If the soil is clay, the depth of the pits shall not exceed 20 centimeters. When planting grapes on sandy soil, make a hole 50 cm. Carry out planting of seedlings. After that, a little we stamp the soil and watered with warm water, temperature 30-40 °C. Do hilling the top of the seedling. Young shoots will grow rapidly and must be constantly watching them. Ensure that their number does not exceed two pieces. The remaining shoots must be removed. It is not recommended to add fertilizer and lime. There is a possibility of burning the young roots. The distance between the seedlings should be about 2 meters, and between rows of 1.5 meters. The optimal location of the bushes from the South to the North. To plant grapes wisely, then the fruits will be excellent. Before planting in the garden , the grapes, select the best appropriate place and set permanent support. 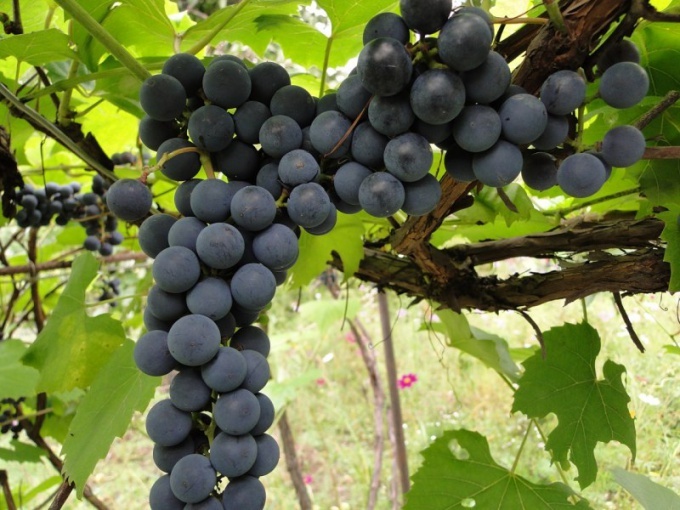 The grape – berry light, so select a location for planting a Sunny and well ventilated. This will save the grapesnick from many diseases. Can you plant grapes in spring, soon after frost, in a period of rapid growth of seedlings and early autumn. But early autumn planting is preferable, as in September, the actively growing root system and the plant is well rooted, allowing it to overwinter well. If the soil at the site is poor, guide the recovery of soil structure. For this spring, dig up the plot as deeply as possible and then plant a pea, mustard, vetch, rank, or other legumes. Fill in the soil superphosphate at the rate of 150 grams per square meter, fifty grams of nitrogen fertilizer and 50 – 100 potassium salt. Before flowering ground bevel, and fill in the ground by 20 inches in depth. Keep the ground weed-free, and early fall planted seedlings. If the soil is clay, you need to drain — it will not allow the roots of seedlings to penetrate the cold clay layer. If you plant grapes in the spring, work on the preparation of soil is necessary to begin in the fall. Remove 2 – 3 bayonet top layer of soil, pour a layer of sand with a thickness of 5 – 10 centimeters. Mix the topsoil with clay, lime, peat, rotted manure and sand. From the structure of the soil depends in what proportions you need to take all of these components. A week before planting, start to carry the seedlings to the yard so they get used to dry air. Day plants keep in a shade, and at night – get into the room. Before you plant the grapes, seedlings need to prepare. To do this, trim the excess shoots, trim the roots, leaving about 15 centimetres – 20. If Bush roots dried, put it in water for 1 – 2 hours, and then make out of clay and manure (2:1) "mash" and dip the seedlings. Then, dig a hole and hammer in center of planting a stake to which tie twine seedling or sapling press to a lateral wall of the fossa. Is that Bush is not settled, and the roots are not curled up. Covered the pit with earth, well it will seal, and be sure to pour the potassium permanganate. The solution should be light pink. How to plant grape seedlings. On the seat reserved for the Bush, dug a hole of this depth, which corresponds to the accepted in this area the depth of planting. Installation of supports in vineyards. The sleeves and tying the shoots to the supports. Operations with the green parts of the vine. Managing the development of the root system of grapes. The renovation of the vineyards. If you plant vines in the spring, work on the preparation of soil is necessary to begin in the fall. In this case remember that grapes are a perennial crop and preparing the soil you will make once for many years. Before you plant vines, saplings need to prepare. To do this, trim the excess shoots, and if they have an open root system, prune the roots, leaving about 15 centimetres – 20. To a young vineyard on the third year after planting pleased with the rich crop of juicy and sweet berries, you need to follow the recommendations on the choice of grape varieties, correct and timely planting and caring for the vines. Choosing grape varieties for planting in your vegetable garden, consider the region of residence. Thus, in the southern regions of the country suitable heat-loving varieties for the rest of the plants are hardened and resistant to lower temperature readings. Young seedlings of grapes, regardless of variety, can be planted and in the fall before the first frost, and spring – from mid-April to the second half of June. The annual planting of seedlings is best done before mid-may, while green and vegetative plants can be planted later. 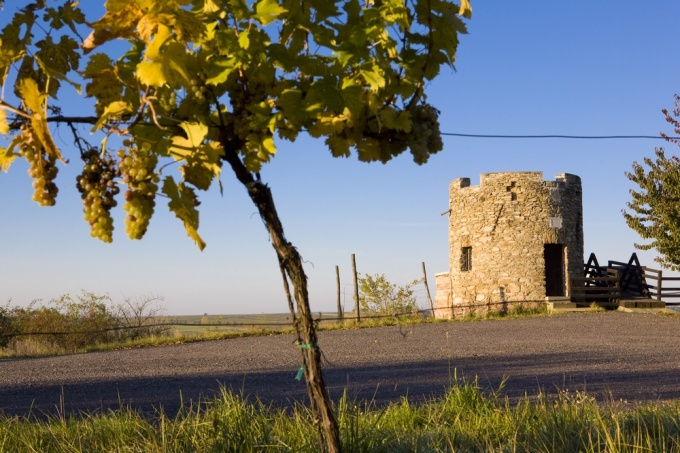 If planting young shoots of grapes produced in the autumn, care must be taken to protect the plant from winter cold. This seedling should be placed before the frost under cropped plastic bottle. To keep the plants "breathe" in the bottle should do several small holes. For planting it is desirable to use only healthy seedlings. So, annual seedlings, it is suitable for planting, should have a white, sturdy rhizome. If the root has a brownish tinge, to put such a plant is not worth it. Before planting, the seedling should be soaked during the day in clear water and carefully cut it, leaving a length of 15-20 cm (3-4 eye). To protect the seedlings from the infectious diseases and the possible invasion of parasites, its stem should be treated with 1% solution of the pesticide "DNOC". We must not forget that the vine is still the plant of the South, and therefore to plant it in the appropriate places. The best place for planting young seedlings is a southern, southwestern or Western side of the house, barn, garage or any other buildings. To plant the grape must on the slopes, though we must remember that the distance to other trees growing on the plot should not be less than three meters. Ideally, five or six meters. To provide the plant full and healthy growth, it is necessary to prepare an appropriate soil – in the form of a kind of a layer cake. The first thing you need to fill in the pit a layer of fertile topsoil (10-15 cm), then two buckets of rotted manure. The next layer – feeding the soil, which usually consists of 200 grams of superphosphate, 150 grams of fertilizers based on potassium and one jar of wood ash. Cover the layer of fertilizer, again a layer of topsoil. The procedure described above should be performed twice, and only then in the resulting "layer cake" you can plant grapes. Before planting the soil should be watered with water. 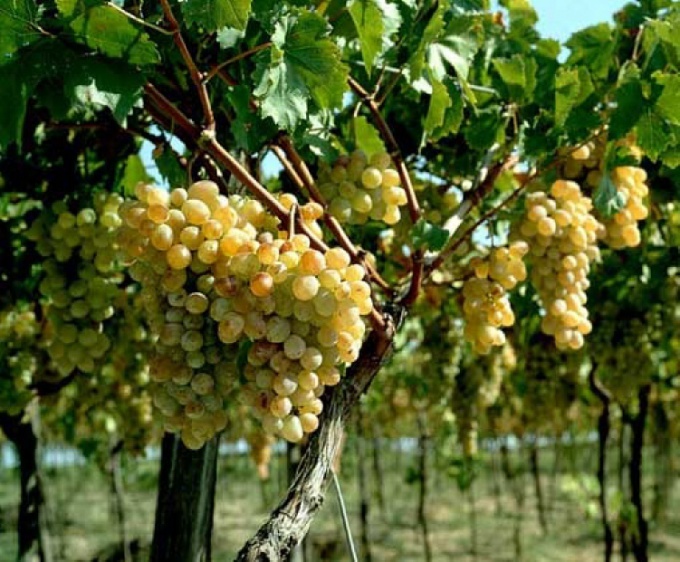 So, if the planting of grapes produced in areas of the middle band of the country, enough to water the soil 2-3 litres of water; if the grapes are planted in the arid climate, for the first irrigation is best to use at least 2-3 buckets of water.